The AFCON 2013 is gone and the super eagles of Nigeria proved bookmakers, pundits and doubting fans wrong by winning the title after Nineteen years of waiting. People celebrated the team everywhere Nigerians reside in the world and I joined in the celebration. Then Lo and behold, Stephen Keshi, the charismatic coach of the team, who incidentally lifted the AFCON trophy as a player the last time the team won the tournament in 1994, tendered his resignation, less than twenty four hours after they won the Stallions of Bukina Faso in the final of the Africa nations cup. The fifty one years old former Mali and Togo coach, announced his resignation on the radio show of respected South African journalist and presenter Robert Marawa on Metro FM on Monday afternoon. The South African posted on his Twitter account, @robertmarawa, on Monday after having the Nigerian manager as one of his guests on his radio show: "Stephen Keshi has just announced that he handed over his resignation letter after the game exclusively on 083Sport@6With Marawa on MetroFM. “It doesn’t really matter what people think about what Stephen Keshi is doing. The most important thing is what I am doing here and passing on to my team. If back home in my country, they don’t appreciate what I am doing with the team, so be it. “You can’t force somebody to love you. You can’t force somebody to accept you. It has to come from within,” he stated. It was reported that Keshi was fed up with frequent sack threats during the Nations Cup with officials of the NFF, especially members of the Technical Committee always threatening he will be dismissed. As this resignation came as a big shock to all, Officials said they are hopeful Keshi could be persuaded to rescind his decision to quit as Nigeria coach. “He (Keshi) said the pressure was too much on him while the competition was on, but he was just managing to make it end well for Nigeria, so he said he has had enough. He decided to quit, but I believe these are issues that could be resolved," said team spokesman Ben Alaiya. "Coach Keshi told me he threw in the towel due to personal reasons and I hope when he comes back to Nigeria he will be able to tell us more about that. “We hope these issues are resolved quickly so that we can face the 2014 World Cup qualifiers. We cannot afford any distractions,” said team co-ordinator Emma Atta. Whatever this stories are, Nigerians are on the edge of their seat to know what the situation are. They hope Kesi will rescind his decision. 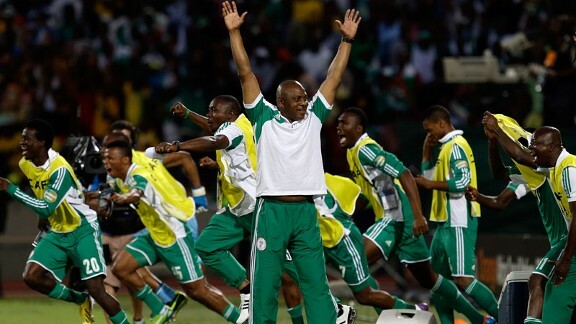 They are sorry for not believing in the team earlier and will want Keshi to continue as coach. Hopefully, all issues will be resolved and we can celebrate the AFCON 2013 triumph in peace without all this controversy. This is a lesson to all. Let's appreciate our own. Trust me, no foreign coach can do what Keshi did for the super eagles of Nigeria. so let's appreciate our own. My name is Cosmos Chukwuemeka Akisi. Follow me on twitter @cosychukwuemeka. Please leave your comment in the comment box below.